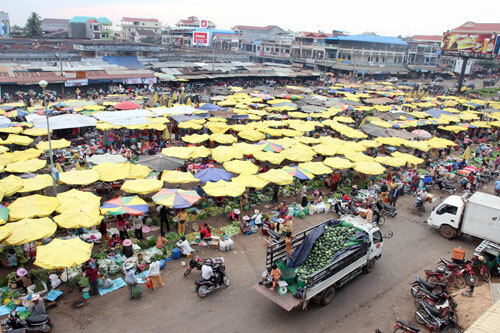 The provincial capital is also named Stung Treng and is an important trade hub with a few hints of Lao influence scattered about, owing to the fact that the Lao border is about 50 km away. It�s a friendly, quiet country town situated on the confluence of the San River and the Mekong River. It actually sits on the banks of the San River, with the mighty Mekong coming into the picture on the northeastern outskirts of the town. The San River goes by three names, depending on which of the locals you speak to. 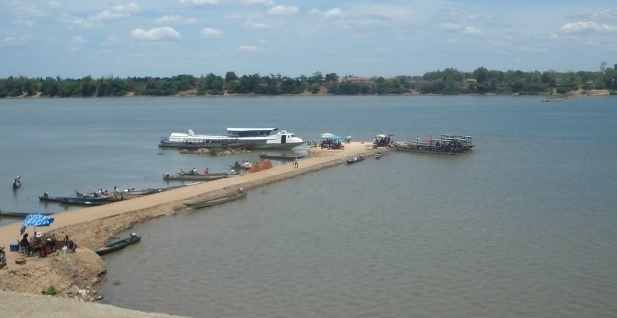 Some call it the Kong River because the San and Kong Rivers merge together about 10 km northeast of Stung Treng town, confusing people about which name the river should bear. Others call it the Sekong River, which is the combined name of these two rivers. Whatever name the fiver beside the town goes by, it�s another one of Cambodia�s beautiful picture-postcard river towns. It�s a nice place to kick back and chill out if you are on a circuit tour of the Northeast River Scene, from here to Laos. The San River is fronted in Stung Treng by a nice stretch of paved road. It�s the centre of socializing (as in most Cambodian river towns) in the late afternoon and early evening hours as the locals ride up and down the stretch enjoying the view and each other. Drink and dessert stands spring up earlier to serve the daily merrymaking crowd. It�s a nice spot for a walk or jog any time of the day as the river road turns into a pleasant rural road that leads to the airport 4 km north of town.